Free parking, minutes from the Loop. Come park for free in our lot, dine in and receieve complimentary shuttle to and from United Center, US Cellular Field and Soldier Field! We offer complete event coordination. Our Catering staff will be happy to offer assistance in menu selection, event planning, presentation, and any other special need. Our services include complete event management, customized event menus, wait staff, full rentals, complete bar service, in-house party locations and more...just call us and ask, or email catering@conniespizza.com! Connie's Pizza is Chicago's best kept secret for delicious Italian dishes and of course, pizza. Just minutes from the Loop, as well as the many suburban locations, its spacious dining room can accommodate up to 350 people and has enough parking for everyone. For any inquiries, please email parties@conniespizza.com. Connie's Pizza on Archer Avenue is Chicago's best kept secret for delicious Italian dishes and of course, pizza. Our flagship location is an icon in Chicago’s Bridgeport neighborhood. Just minutes from the Loop, its spacious dining room can accommodate up to 400 people and has enough parking for everyone, but that's not all... Our delicious food is also available for catering any size party. Our professional management team will assist you with all of your catering needs. We can create a menu or you can create your own, choosing from selections of fresh salads, pastas with homemade sauces, signature sandwiches, our famous pizza and our desserts even Grandma would be jealous of! Please inform your server of your gluten allergy before ordering gluten free dishes. Our own blend of artichoke, spinach, & italian cheeses baked & served with flatbread chips. 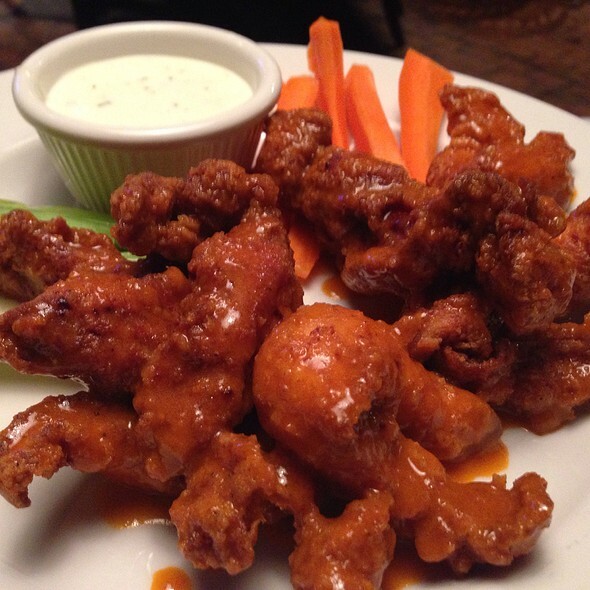 Fresh jumbo chicken wings seasoned, fried, & tossed with your choice of either buffalo hot wing sauce or bbq sauce. Served with carrots, celery sticks, & ranch dressing. Fresh chicken tenderloin strips hand-breaded & fried golden tossed with your choice of buffalo hot wing sauce or bbq sauce. Served with carrots, celery sticks, & ranch dressing. Crostini served with fresh roma tomatoes, basil, olive oil, & garlic. Crispy fries covered with a creamy gorgonzola cheese sauce topped with pancetta & green onion. 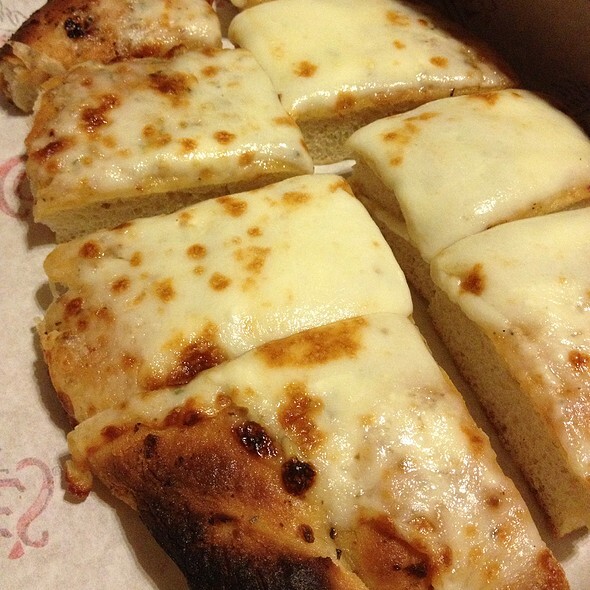 Our homemade garlic bread made with connie's dough topped with melted mozzarella & served with marinara sauce. Your choice of fritti (lightly breaded & fried) or grilled (marinated with fresh herbs, olive oil, & a touch of garlic). Served with marinara sauce. Aged mozzarella cheese wedges hand-breaded & fried golden. Served with marinara sauce. Enough to share! Generous portions of chicken strips & wings in your choice of buffalo or bbq style with mozzarella wedges & calamari. Served with marinara sauce & ranch dressing. A fresh mix of iceberg, romaine, & radicchio with cherry tomatoes, cucumbers, pepperoncini pepper, black olives, red onion, & pizza crisps. Served with our italian house dressing. 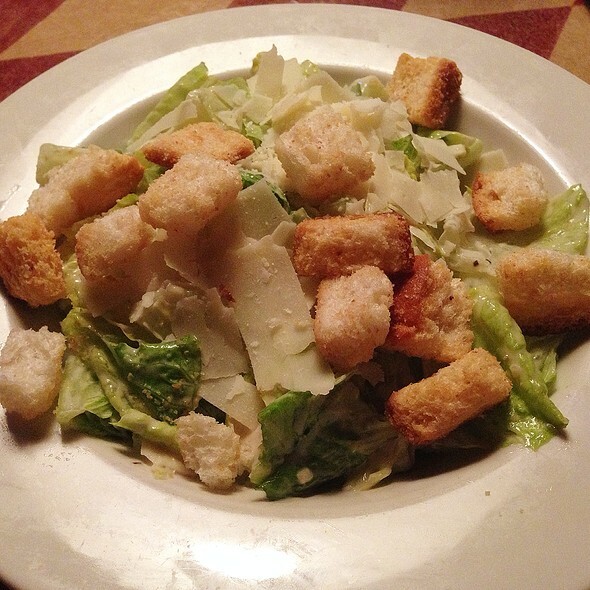 Crisp romaine hearts, shaved romano cheese, herb-roasted croutons, & traditional caesar dressing. A fresh mix of iceberg, romaine, & radicchio, topped with tomatoes, applewood smoked bacon, chicken breast, green onions, cucumber, celery, avocado, & gorgonzola cheese. Served with our italian house dressing. Hand-breaded chicken breast over a fresh mix of iceberg, romaine, radicchio, arugula and spinach. Topped with candied pecans, apple slices, provolone cheese, grapes and red onions. Served with balsamic vinaigrette dressing. A fresh mix of iceberg, romaine, & radicchio with provolone, soppressata, capicola, pepperoncini peppers, kalamata olives, artichoke hearts, roasted red peppers, & tomatoes. Served with our italian house dressing. Tender baby spinach, applewood smoked bacon, candied pecans, dried cranberries, & gorgonzola. Served with balsamic vinaigrette dressing. All entrées are served with your choice of a side house salad, side caesar salad, or a cup of soup. 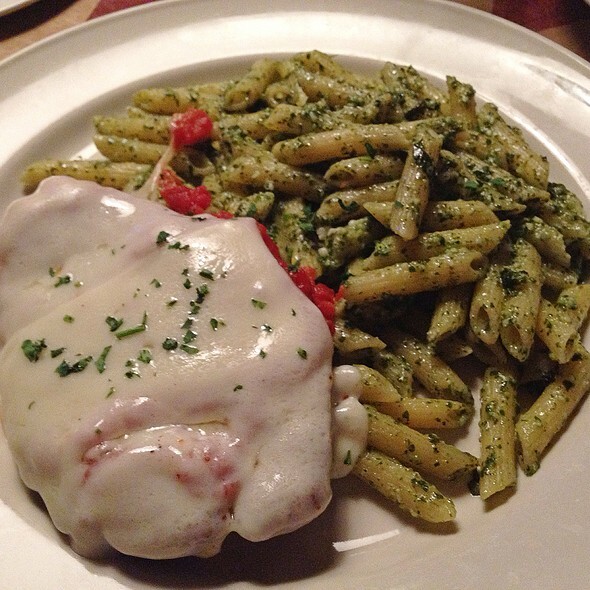 Hand-breaded chicken breast baked with marinara sauce & mozzarella cheese. Served with spaghetti. Grilled italian sausage with sweet peppers, onions, & potatoes with marinara sauce. Roasted half chicken with potatoes & peas simmered in a white wine garlic sauce with lemon & oregano. Shrimp sautéed in spicy cream sauce with tomatoes & tossed with fettuccine. 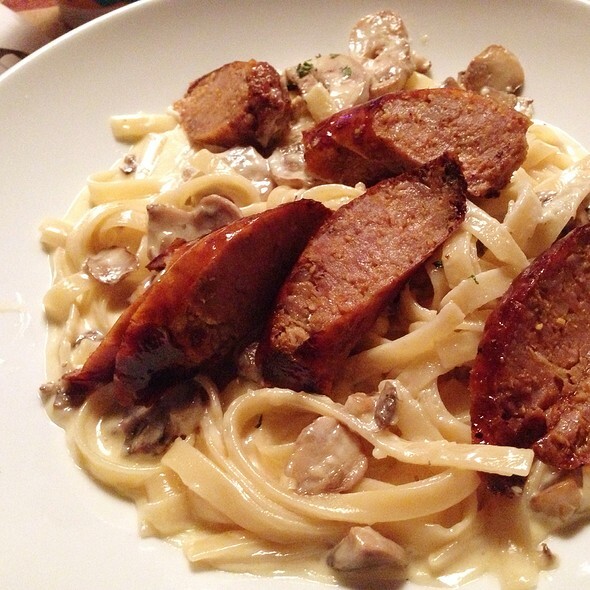 Chicken breast sautéed with mushrooms & herbs simmered in classic marsala wine sauce & served over fettuccine. Chicken breast sautéed with capers & lemon served in a light butter sauce with capellini pasta. 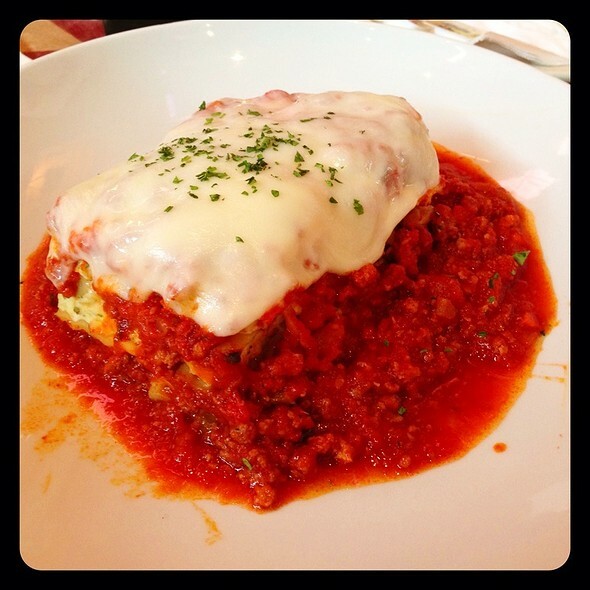 Thick eggplant slices hand-breaded & layered with our special blend of italian cheeses & marinara sauce. Served with spaghetti marinara. Four piece fresh bone-in chicken breaded & fried. Served with french fries. We make 'em right here every day! $13.99; All pastas & entrees are served with your choice of a side house salad, side caesar salad, or a cup of soup. 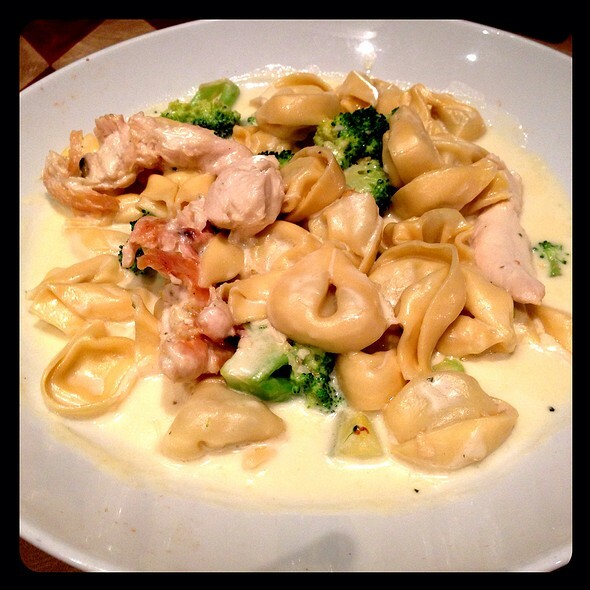 Choose one of our pastas & any of our homemade sauces to create your own pasta bowl! Sauce just like how mom makes it. 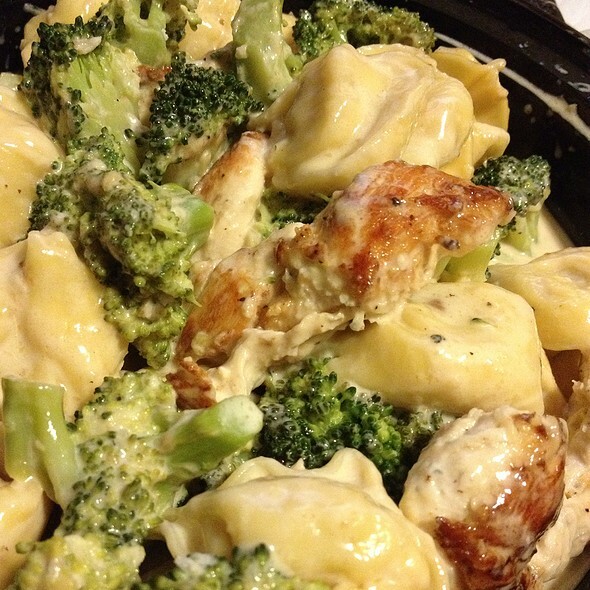 Cheese tortellini with chicken & broccoli in alfredo sauce. Cheese ravioli with spinach, cherry tomatoes, onions, & mushrooms. Homemade pasta sheets layered with ricotta & meat topped with mozzarella & connie's marinara sauce. Rigatoni simmered in a sauce of marinara, mascarpone, white wine, garlic, chili flake, vodka, parmesan, and fresh basil. Fettuccine simmered in a rich cream sauce flavored cream sauce flavored with garlic, olive oil & romano cheese. Ravioli filled with a blend of four cheeses & simmered in your choice of bolognese, marinara, or vodka sauce. Hand-breaded chicken breast with marinara sauce & mozzarella. Handmade family recipe meatballs with sweet peppers & red gravy. Our secret recipe italian sausage with sweet peppers & red gravy. Our own homemade recipe. Tender roasted italian beef with sweet peppers. Our italian beef & italian sausage with sweet peppers & red gravy. Juicy grilled chicken breast, lettuce, tomato, & onion on a toasted brioche bun. Served with a side of honey mustard dressing. Capicola, soppressata, prosciutto cotto, tomatoes, provolone, & homemade olive tapenade on grilled panini bread. Smoked turkey breast, applewood smoked bacon, lettuce, tomato, & mozzarella with ranch dressing on grilled panini bread. Thick eggplant slices hand-breaded & layered with our special blend of italian cheeses & marinara sauce. A 10 oz angus beef homemade patty grilled & served with lettuce, tomato, & onion on a toasted brioche bun with your choice of cheese. Our handmade family recipe turkey patty grilled & served with lettuce, tomato, & onion on a toasted brioche bun. Pizza with gluten free crust is prepared in the common kitchen with the risk of gluten exposure. Our famous dough made fresh daily. Rolled out thin & cooked to crispy perfection. The original connie's pan pizza! This is the one that has made us a chicago favorite since 1963. Just like jake & jimmy made it on 26th & lowe. A chicago favorite! Similar to the original pan pizza with just an extra amount of goodness. Our deep dish is legendary & has been featured at festivals & sporting venues throughout the chicagoland area! Our pan pizza stuffed with your favorite ingredients & baked with a thin layer of dough on top. Your choice of sauce on top or 26th street style (no sauce on top). The best bang for your buck! A 13"x18" half pan of authentic sicilian crust is added to the connie's pizza family. With 24 slices, it's enoughto feed the whole bunch. Try our new gluten free thin crust pizza with your choice of toppings. Ask your server about size & pricing. Sausage, mushroom, onion, & bell pepper. Italian beef, giardiniera, mozzarella, & provolone cheese. Chicken, onion, bbq sauce, cheddar, & mozzarella cheese. Broccoli, onion, mushroom, & sliced tomato. Olive oil rubbed crust, fresh tomato, ricotta cheese, mozzarella cheese, & fresh basil. Sausage, mushroom, onion, bell pepper, black olive, & pepperoni. Italian sausage, pepperoni, soppressata, & capicola. Artichoke, bell pepper, black olive, broccoli, giardiniera, green olive, jalapeño pepper, mushroom, sweet onion, roasted red pepper, sliced tomato, spinach, zucchini. Sausage, spicy sausage, pepperoni, bacon, capicola, chicken, gourmet sausage, ground beef, ground turkey, italian beef, meatball, prosciutto di parma, soppressata, ham. Anchovy, bbq sauce, cheddar cheese, crushed garlic, pineapple, provolone cheese. Delicious appetizer sammpler platter, and the deep dish pizza is amazing. Food was subpar but the service was friendly and attentive. Food was barely warm and overpriced. Not much else to say about it. I made the reservation a week in advance. I received a phone call asking about the purpose of the reservation. I informed the Rep that it was a birthday celebration. I was told that if I wanted to bring my own cake, there was a $20 charge. I wasn’t too bothered since I had no intention on bringing in a cake. My reservation was for 7. When we got to the table they only had 6 seats. They had us walk back to the front desk and wait for them to fix it. I was still OK. We walked back to the table and they squeezed another chair right where both tables meet. It was uncomfortable for my niece because she either had to squeeze her legs in one table or open them wide to fit each leg under a separate table. Both table legs were directly in front of her legs and they thought this was OK?!?! We waited about 45 minutes for bread/butter. The waiter wanted to take our orders first which made no sense to me. I hadn’t eaten since breakfast and at that point I was irritated. The food was good and the service got better midway through dinner, but it will be a while before I return. We always have the same table and server. It is a group of 8 and we have appetizers and pizza. Pizza is good but servers dropped pizza’s on the table and did not serve as they are supposed to. That is biggest complaint. Not our main guy but the young servers who bring out the pizza. They are supposed to serve the pizza but did not. Connie’s is a great restaurant! We had a large party and I had preordered all of our pizzas the day before which they had suggested we do. We were treated so well, with Chef Peter coming to greet us when we first got there, then checking up on us multiple times during our dinner. The pizzas were delicious! Our server was attentive and fun. I will definitely have more events at Connie’s! Neighborhood go to place. Always fun lively and busy! It was very loud in there. Too me food really didnt have a taste. Pizza had to much oregano. But would try them again. Had a nice dinner with the family! Had some appetizer salad and pizza! All of which were good. Our server Emily was outstanding very friendly and aware of our need before we even asked. One of the best we’ve very had there! We arrived early for our reservation and they promptly seated out large group. Food come out quickly and was awesome! Lots leftover for the next day. Had lunch with our family there on Saturday. Food & service was great! Not crowded at that time of day, so noise level was low. Easy to visit. We love Connie's! Wouldn't recommend for a birthday gatherings. They charge a service fee for bringing outside cake. Ridiculous! That's a first, never been to a restaurant where they charge $20 for that. NEXT! We had a good time for the 6 of us. Would go again if in the area. Our server was excellent. Took great care of us and stopped by to check on our drinks or we needed anything else. Very friendly. As always great pizza. It always good to reserve a table since they tend to get very busy in weekends. Awesome pizza. The best! It’s real nice inside. While the food was great, the service was horrible. As i will be contacting the better business bureau about the service that was receive and false advertising on the table. Everything was good. California Turkey Burger delicious. Food a little slow coming out but overall good evening. Well worth the hour and fifteen minutes we drive from Indiana. We always have to stop at Connie’s when coming to Chicago. Pizza and service were great. Good just wish the waitress was more attentive with us! Overall great food! Todos los platillos realmente delicioso!!! Excelente servicio!!! Y el lugar muy tranquilo! Thank you for your outstanding service liz. My sons birthday was well enjoyable. Thank you Connie's food was awesome, staff was great!! It was pleasant, there was a miss communication where our youngest had her bottle tossed out it seams. After I asked if anything could be done she handled the issue sufficiently. 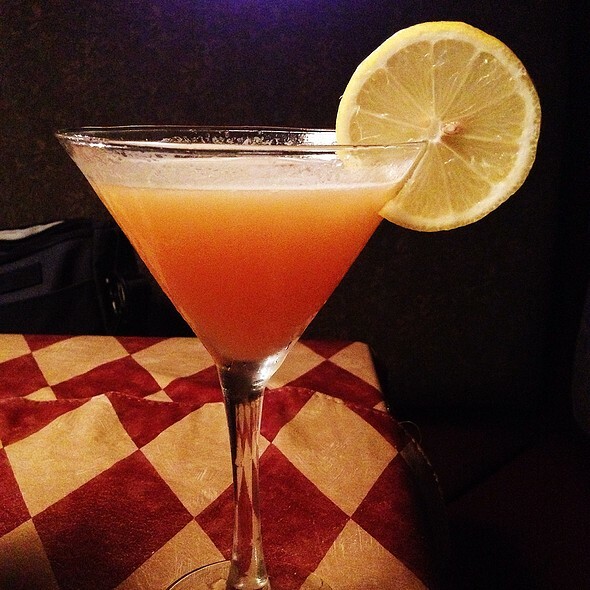 It didn’t ruin the evening, that started off wonderful thanks to the hassle free booking that OpenTable provided. Check in was also a breeze; knowing a Friday night would be busy we arrived 10 early with more than half of our party which may have made it easy. Been going there since 1977 - at their original location and they never disappoint me. Love the place. Always a great place for a group to go. Good is good. It was busy for a Sunday night so service not slow but still worked out fine. Wait was very very long. Fun times. Waitress was friendly and helpful. Food was great, but unfortunately service was very slow and it wasn't even that busy. We had to get up from our table a couple of times to find our server and get assistance. I don't know what happened to Connie's, but this was bad, start to finish, on a Wednesday night before a Sox game when they should be on their game. Starts at the bar while waiting for one of the numerous empty tables on the patio. Beer special worded 'Until Supplies Last' which I still can't quite comprehend. The bartender said they ran out of the special beer over the weekend. Why couldn't they change it on Monday or Tuesday? We pre-order a pizza and get seated. I asked the hostess for a booster seat which she fails to bring so I go inside to find one. We order a family salad with the bucket of dressing on the side. Comes out 15 minutes later with dressing on it. Waitress takes it back, comes out 5 minutes later, says it will come out in 2 minutes. 10 minutes later my wife walks in to see what's happening and finds our salad and server at the bar. 5 minutes later, the pizza arrives rendering a starter salad pretty useless. It's Connie's so the pizza was pretty good - got to give them that. Before bill arrives, my wife show's the 'Did We Do Something Wrong' email coupon for $15 off $30. Waitress couldn't comprehend what to do with it so we had to explain to write down the code. She rings the tab and only presents the final signature page without the breakdown of items ordered. Every single function in the restaurant failed at something - kind of unbelievable. So Connie's, next time you wonder if you did something wrong, just read this and figure out how to manage the restaurant again. Connie's is the best restaurant around! The pizza is great but there are other tasty offerings as well. Food was excellent. Service was disjointed. A committee of servers for some reason. Since multiple people waited on us drink refills were neglected. I had over 20 people coming to have a family gathering for Pre-Christmas party. My husband had said to try Connie's and I am so glad we did. We had the best service, best food, and the best time! The waitress took the picture of our group for us and it was so much fun to be there. I will definitely go there again and have parties there again! A must while in Chicago. Upon my arrival, the hostess was rude. She looked overwhelmed on a busy Saturday evening. Anyways, didn’t bother with her, everyone else was great especially our server Susan. She made everything better. Great deep dish pizzas!